In February, I wrote an updated review of the Smith & Wesson Bodyguard 380. I featured a Pistol Wear PT-2 concealed holster in the article and I had much positive feedback on it. I really liked the PT-2, so I decided to try a different Pistol Wear version that is slightly scaled down. 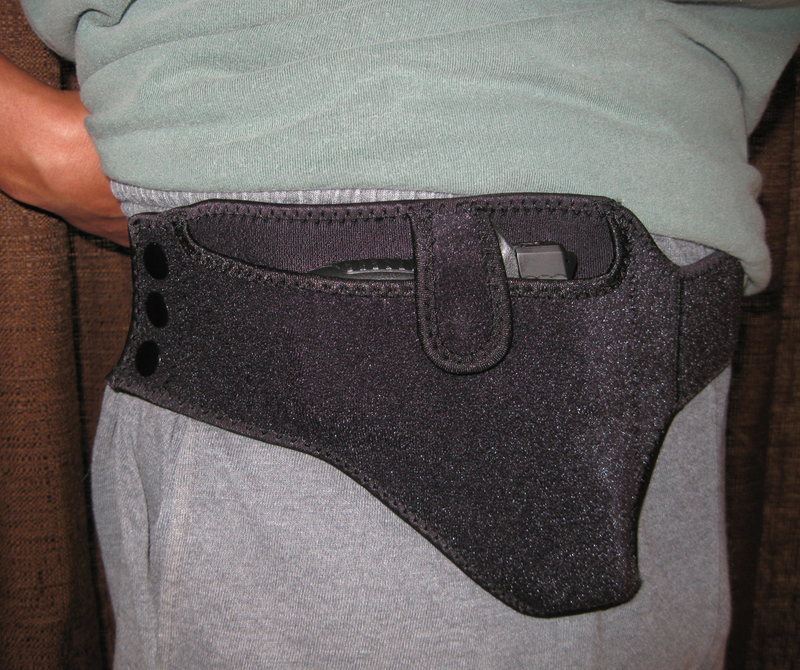 The Pistol Wear Trump Card and Sub Compact Trump Card are lightweight concealed carry holsters that can be worn under the arm, inside the waistband, or outside the waistband. They are designed to be used in support of business attire or causal wear. Much like the PT-One and PT-2, the Trump Card has a breathable elastic belt that is adjustable by the use of hook and loop fields for size. Three separate snaps allow the belt to be taken on and off without wearing out the loop area—ingenious! To account for under the arm carry, the belt is adjustable up to 46” with extensions of 10” and 20” available. Trump Card’s pouch is perspiration and solvent resistant so that the handgun’s finish is protected even during moderate exercise or oppressive weather conditions. 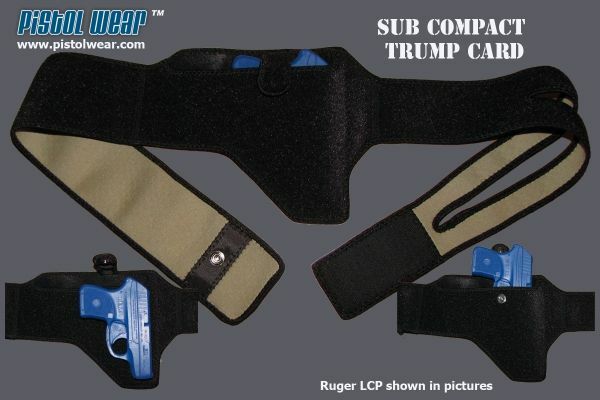 While the PT’s One and 2 have a generous open-topped pouch for the firearm, the Trump Card and the smaller Sub Compact Trump Card have a canted gun-shape to the holster. The Trump Card fits compact pistols and short-barreled revolvers, while the Sub Compact Trump Card is made for sub compact pistols. The Sub Compact contains my Diamondback DB9, Smith & Wesson Bodyguard 380, or Kel-Tec P3AT properly. I tried a Smith & Wesson Centennial Airweight M442 revolver in the Sub Compact, but it was literally a stretch. The Trump Cards have a nylon strap and magnetic snap to retain the pistol or revolver in the pouch. I found that even after inserting my unloaded Diamondback DB9 in the Trump Card and shaking it vigorously upside down, the magnetic snap would not release and the gun did not fall out. I have used my Trump Card for long exercise walks, moderate jogs, and dressed down concealed carry. It is comfortable and secure. At an MSRP of $36.50, the Trump Cards come in Black or White and in Left or Right Arm configurations. Military and Law Enforcement receive a 20% discount with ID. I believe you can’t find a better lightweight casual carry holster than this at anywhere near its price. This entry was posted in Firearms, Off Duty and tagged concealed carry holster, Pistol Wear, Sub Compact Trump Card, Trump Card holser. Bookmark the permalink. Very nice post. Do you think the PT 2 or Trump Card is better for jogging/biking? Would the shape of the trump cause some flooping around of a small 380? 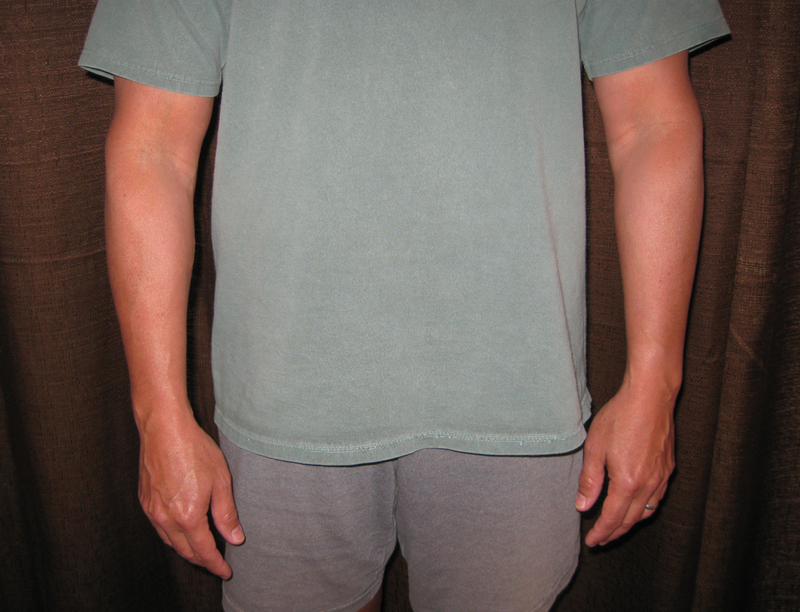 Also, would the PT 2 be less holster looking if your shirt rides up to on lookers like a back support brace? Or does the Trump Card ride ride so this it’s unnoticable to on lookers even though it has more of a holster look? Greg, I think the PT-2 is my favorite. It rides across the stomach like a belly band, but is more versatile. I also prefer it for biking. The Trump Card is my choice if I’m doing light exercise, though. If your shirt rides up, the PT-2 would be less obtrusive. The Trump has a holster kind of shape… My two cents. Also, woundered if you had more pictures? Thanks again. Will my Glock 26 fit in the trump card holster? I have a Ruger LC9 equiped with a LaserMax sight. The laser makes the nose a bit broader than the typical nose barrel of most pistols. Will my pistol fit the Trump Card concealed carry holster or would your PT1 or PT2 be better? Your opinion would be appreciated. Richard, just looking at the angles of the regular Trump Card, I’d have to say your LaserMax-equipped LC9 may not fit–too big in the snout. That said, the PT-2 would work. It’s their single pouch version. I noticed that all the Pistol Wear holsters now have the magnetic snap. I think it is a good retention feature. Good luck to you, sir! Much obliged. Your response is what I suspected just by looking at the pics on your site but wanted your confirmation. Thanks again. A PT-2 is is. HAVE THE PT-1 THAT WORKS WONDERFULLY WITH THE RUGER LCR. WILL THE REGULAR TRUMP ACCOMODATE THE TAURUS PT 111 MILL PRO? THANKS. J.R., The regular Trump Card should fit your Taurus PT-111. I’m happy you like your PT-1. I wear my PT-2 at least once or twice a week. I WAS MISTAKEN WITH MY LAST POST, IT IS THE PT 2 THAT I HAVE, GREAT CONCEPT. I have a Kahr PM9 that I pocket carry most of the time. Ive been looking for some other carry options, possibly while jogging. Which holster do you think is best/ most comfortable (from pistol wear or other). 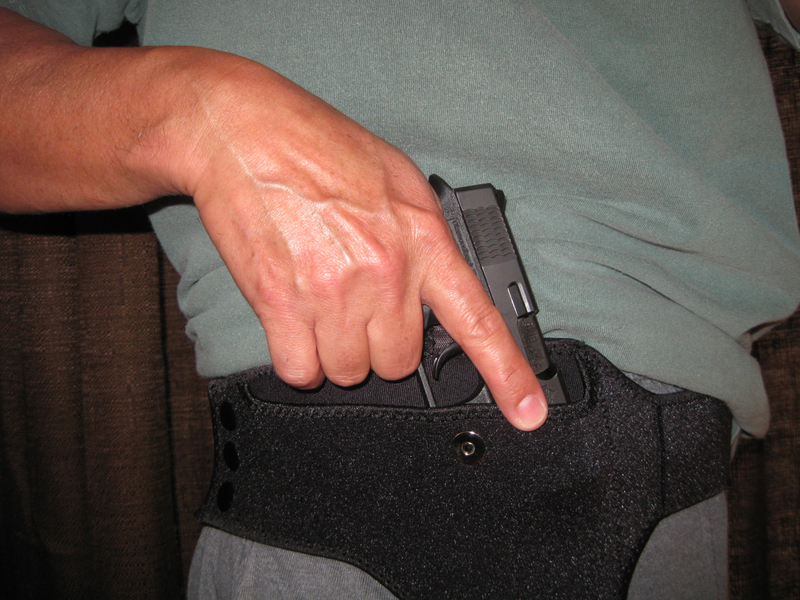 The Pistol Wears conceal best when worn under your shorts or warm up pants.